The concept of an “open government” has been around since governments were established. In the United States, it seems the tradition of the president and every other politician or candidate running for office is to make a declaration that they will make government more transparent. According to Patrice McDermott in a 2010 Government Information Quarterly article titled “Building open government,” President Obama issued a memorandum on transparency and open government calling on his administration to develop recommendations that would “establish a system of transparency, public participation and collaboration.” We can spend myriad hours reading all of the quotes and excerpts from our leaders exclaiming their intentions of opening the government and making government more transparent. What exactly is open government? This can be a difficult question to answer as our society has engaged the throttle for Internet access into overdrive. Our society almost completely operates via the Internet and technology in some form or fashion every day. Technology has improved at a rate that seemed unfathomable several decades ago. Due to the speed of the technological advancements, it seems that our government has not kept up with this pace. When we talk about open government in our society today are we talking about accessing government records and data via websites, hard copy documents or other mediums of data? It would appear that because we are in the Internet age, the only way for a government to be transparent and open is that the citizens must have access to all available data through government run websites. 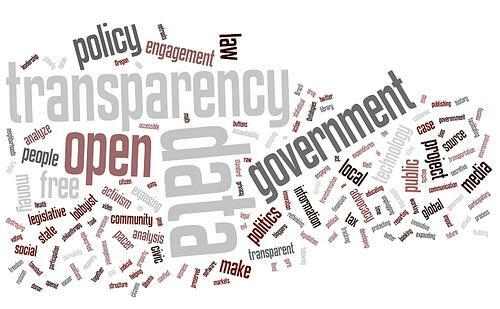 According to Angela M. Evans and Adriana Campos in a 2012 Journal of Policy Analysis and Management article titled “Open government initiatives: Challenges of citizen participation,” open government is widely understood as the leveraging of information technologies to generate participatory, collaborative dialogue between policymakers and citizens. The most recent open government movement emerged from the adoption of e-government in the mid-1990s. The E-Government Act of 2002 pushed for the establishment of initiatives, though policies such as the Freedom of Information Act of 1966 (FOIA) and the Paperwork Reduction Act of 1995. One could make the argument that while all of these antecedents are valid, one could further argue that by virtue of the government telling its’ citizens the truth about important matters that would be considered an act of open government. I would argue that the citizens do not need to know everything that our government is doing on a daily basis particularly when it comes to matter of national security. This is why we have a democratic form of government in that we elect individuals to represent the opinions of the masses. According to Albert J. Meijer, Deirdre Curtin, and Maarten Hillebrandt in a 2012 International Review of Administrative Sciences article titled “Open government: Connecting vision and voice,” openness of government is the extent to which citizens can monitor and influence government processes through access to government information and access to decision-making arenas. Moving forward, it is the responsibility of the government to grant access of information and data through FOIA requests that are de-classified or do not pose a national security risk. The citizens also bear the responsibility of understanding what information they are attempting to obtain through FOIA and an open and transparent government. The United States is a democratic nation and this affords the citizens myriad benefits and rights that other nations do not grant to their citizens. However, with these benefits and rights comes responsibility and accountability on both the citizens and government leaders. Having an open and transparent government allows citizens, watchdog organizations, academic institutions, law enforcement agencies, the military, the media and many other groups or institutions to monitor and hold the government accountable. These rights are granted to the citizens because our constitution ensures that the government governs for the people. The Internet and advancement in technology further empowers the people to monitor the government and ensure that we the people gain access to the information that we need to access. Technology allows the government to be more efficient in its ability to be open and transparent by sharing a copious amount of data and documents on government websites that the citizens can freely access from the comforts of their residences as opposed to going to a government building, standing in a long line, filling out a long request form and finally getting their requested information hours after they got to the building. Finally, citizens must be sensible and realistic about their requests for information, while the government should also be smart and sensible about the information they will or will not release to the public. In order for our government to be open and transparent it will require teamwork between the leaders and the citizens who elected the leaders to their positions. Author: Jeffrey R Zimmerman is a public policy and administration Ph.D. candidate at Walden University who is currently working on his dissertation titled, “The Impact of Supervisor-Subordinate Exchange on State Government Employees.” Zimmerman serves as the Director of Processing Services within the NC Division of Motor Vehicles. He can be reached via email at [email protected] or [email protected].